Click here to find more about types of goldfish and koi fish and their amazing forms and colours. 1. The transplanting of a seedling plant into a flower pot. 2. The transplanting of a mature plant from the outdoors to a large pot placed indoors, usually for decorative purposes or to protect the plant from a harsh climate during the winter. Transplanting a plant to a pot that is one size larger than the one it was growing in to encourage plant growth. Transplanting a plant to a pot of the same size, but with most of the compost replaced. Root trimming involves teasing out the roots from the soil and trimming about 1/3 away, then replanting with fresh soil into the same pot. Best done in the spring. This is only necessary if the plant cannot be moved into a larger pot. Once plants are in large pots, perhaps 25-30cm (10-12in) in diameter, continual potting on into a larger pot may not be practical. Gentle scrape and remove the top few centimeters (inches) of existing potting soil using a small hand fork. Remove as much soil as possible without exposing major roots. Refill the pot with fresh potting soil (same type soil as used before) to the original level. The topdressing plus regular feeding will allow most plants to be grown in the same pot for many years. To know when a plant needs to be potted on a bigger pot you need to check the roots. If you see roots growing out of the bottom drainage holes, you really need to do something right away. You can also tip the plant out of the pot and inspect the roots. If larger ones are visible out to the outside edges of the soil ball, you need to do something soon. If the roots are so dense you can barely see any soil, you need to to do something right now. The other way to tell is to look and decide if you think the plant looks top heavy and unbalanced or if the plant is tending to tip over due to top being heavier than the bottom. Permanent house plants generally will require transplanting once a year until they reach a mature size. Outdoor plants grown from seed will need to be transplanting several times within the first few months until reaching maturity. Post should not only be practical, they can be pretty or interesting too. 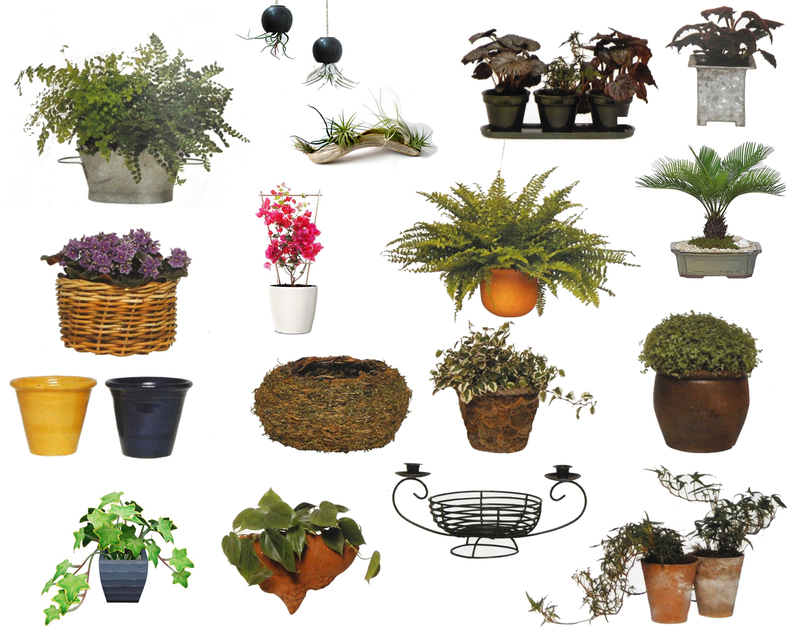 But whatever type you choose, the pot size and proportion in relation to the plant contained will affect how they are perceived and the pot can make or mar a plant. Container volume affects maintenance. How big will the growing plants get? In general, larger plants need more room for roots. Is this a temporary display of annuals? Or is it a long-term display of perennials or shrubs? Will they need protection from fluctuating winter temperatures? Larger, thicker pots or insulated pots will do a better job protecting overwintering roots. The shape of the container maters as well. Use tall containers for plants which form a deep root-ball as palms, shrubs, etc. Use wide pots so calles “half-pot” for plants with shallow roots such ferns, succulents, especially cacti. What are the watering needs of the plants? Shallow containers work well for succulents, because they need to dry out between waterings. Plants that require moist (well-drained) soil need a larger root ball to guard against drying out and reduce the need for constant watering. How often do you expect to water? Given the same number and kinds of plants in the same location, and type of container, larger pots need less frequent watering than smaller pots. If you plan to go on vacation later in the summer, then choose a big pot or a big, self-watering pot. The plant should look like it fits without being squeezed into the container. Never trim the roots to make the plant fit the pot unless you are creating a bonsai. The pot should be big enough and deep enough for the plant. Conversely, if the pot is much too big for the plant or the number of plants, the soil will have a tendency to stay wet longer and root rot is more likely. Adequate pot size is especially critical when growing vegetables. Ordinary clay or plastic pots lack visual appeal and most of us hide them in a more decorative cache-pot that is slightly bigger. If you do this put gravel, expended clay granules or a few pebbles in the base to keep the bottom of the pot from contact with the surplus of water that collects in the base. Alternatively, pack the space between the inner and outer pots with peat (peat-moss) to absorb most of the moisture, at the same time helping to create a more humid micro-climate around the plant. And more importantly you should use care in watering your plant to avoid depositing water to the bottom of the decorative container. All standard pots, from the smallest to the largest, are alike in that the depth equals the diameter at the rim. 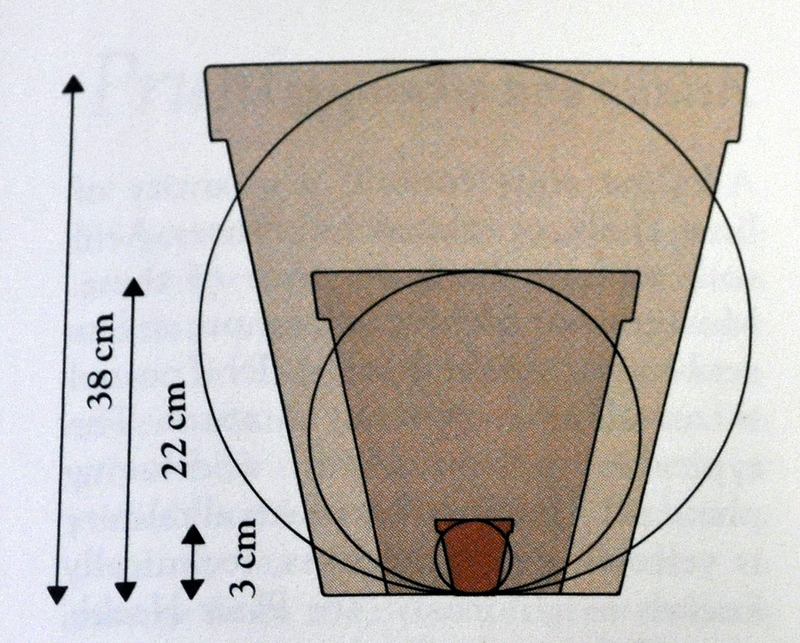 Most types of pot are available in sizes ranging from a diameter of about 3cm to a diameter of about 2cm step-ups throughout the range from 8-22cm. 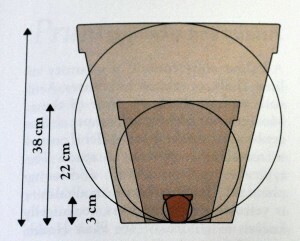 In pots larger than about 22cm the step-up is likely to be more. Floral bouquets are beautiful, but they have a very short life (just a few days). You can make flowers last longer by preserving them. Here are some tips for preserving cut flowers. Most florists and grocery stores include preservatives with a purchase of cut flowers. However, if you do receive any plant food with your flowers, always you can make it by yourself home. Keep in mind that plant foods will double your bouquet’s life. What is doing a good plant food for your flowers? Firstly, a good preservative plant food needs to kill bacteria. Secondly, a good plant food will feed and nourish your flower with sugar. Tertiary, the water for your flowers has to have an acid touch. The best choice for you is to add 7-Up or Sprite to the water for your flowers. Doing this you solve 2 problems in one step: the acidity and sugar. A good mixture is half Sprite (or 7-Up) and half water, which you should change every day. Other substances which you can use to make plant food are: few dopes of citrus fruits juice or vinegar or mouthwash or a crushed aspirin. Just make sure you have added a spoon of sugar to your mixture. To preserve your bouquet make sure that the vase which you use for it is clean and free of bacteria. Also, it is better for your flower to use a glass vase rather than a metal one because some metals can somewhat alter the pH of the water. Fill the vase with warm water adding the plant food to it and stir it. The warm water will move quickly into the stems of the flowers feeding and nourishing them. Avoid cool or drafty areas, as well as placing near heat sources or in direct sunlight because this can make the flowers dry out faster. Flowers will last longer on the shade places. Finally, before putting the flowers in the vase, cut stems under water with sharp knife, to stop air bubbles forming in the stem. Avoid to uses scissors or even pruning shears to cut the stems. This can squash stems, resulting in damage to the tiny tubular vessels carrying water. Do the cutting at a 45 degree angle. Doing so allows for water to reach the up most surface area of the flower. By following these steps you will enjoy longer of your floral bouquet.